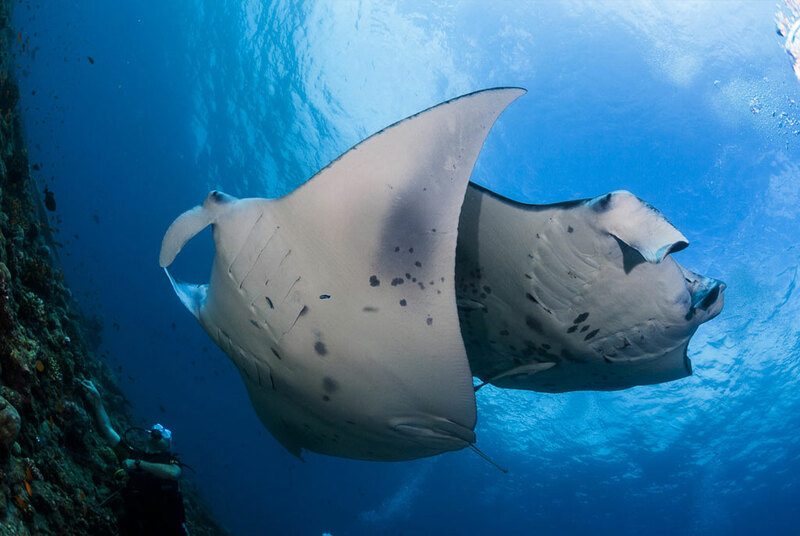 The home to Whale Sharks, pristine tropical coral reefs, tropical reef fishes, and Manta Ray cleaning stations. Including: All transfers, accommodation on a bed, and “tropical” breakfast basis, hire of tanks, weights, and air-fills (full equipment hire available on request). 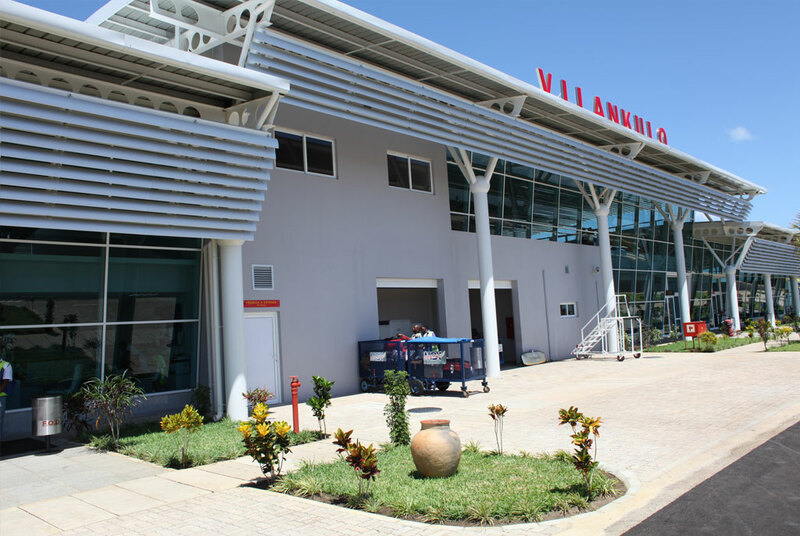 Arrive at either Inhambane Airport (INH) or at Vilanculos Airport (VNX), own arrangements. 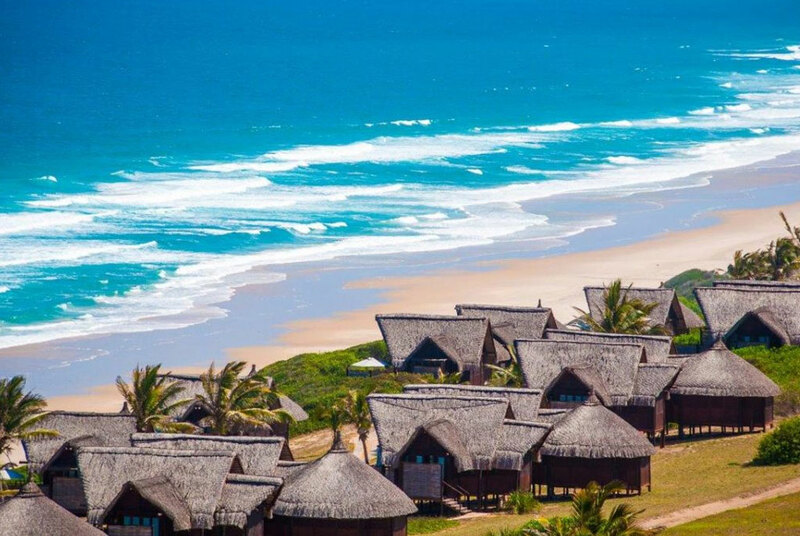 On arrival, you will be met by a representative of Dive The Big 5 for the 45-minute road transfer from Inhambane Airport (INH) to Tofo, or a 4-hour road transfer from Vilanculos Airport (VNX) to Tofo. Before going onto the hotel you will stop by the dive shop to offload any dive gear you may have brought with you, to meet the “dive crew” who will be looking after you during your stay in Tofo, and to select your dive gear in preparation for the following days dive. Remember, on all “domestic” and “international” flights you are restricted to 20-kgs checked in luggage only. We suggest you only bring your mask, computer, and if really necessary, your reg. You can rent all the rest, and being a PADI 5 Star Dive Centre, all rental gear is the latest diving gear, and all gear is serviced regularly. After meeting the crew and selecting your gear you will continue onto Hotel Tofo Mar where you overnight in a Standard Seaview twin / double, en suite, air-conditioned room on a bed and “tropical” breakfast basis. Flying time Johannesburg / Maputo – 1-hour. 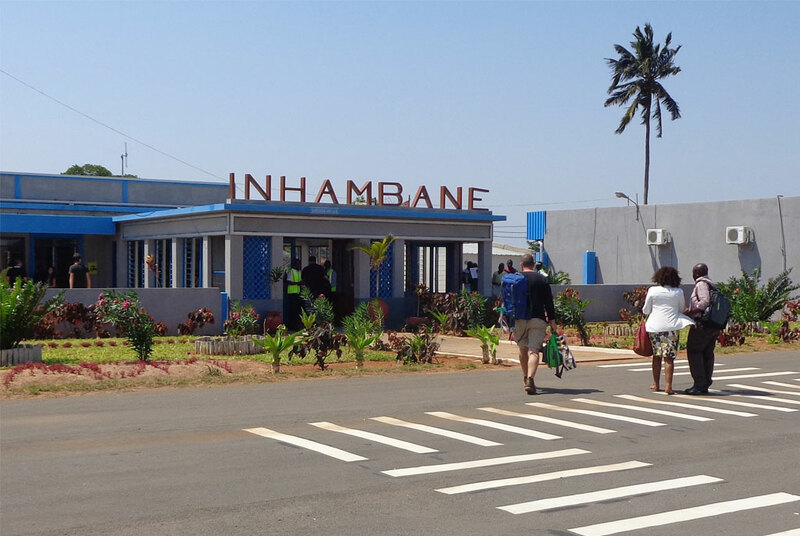 Flying time from Maputo to Inhambane – 1-hour. 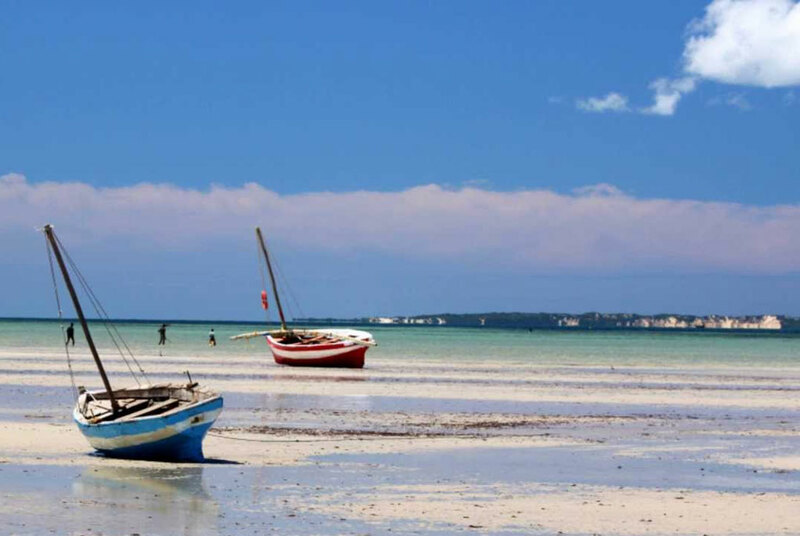 Transfer from Inhambane Airport to Hotel Tofo Mar – 35 minutes. Total travelling time approximately – 7- hours. Flying time Johannesburg / Vilanculos – 1h40. Transfer from Vilanculos to Hotel Tofo Mar – 4-hours. The above is an indication and is subject to LAM’s and SA Airlink’s flight timetables applicable at the time of booking the flights. Four full days spent diving the tropical coral reefs off Tofo, weather permitting. 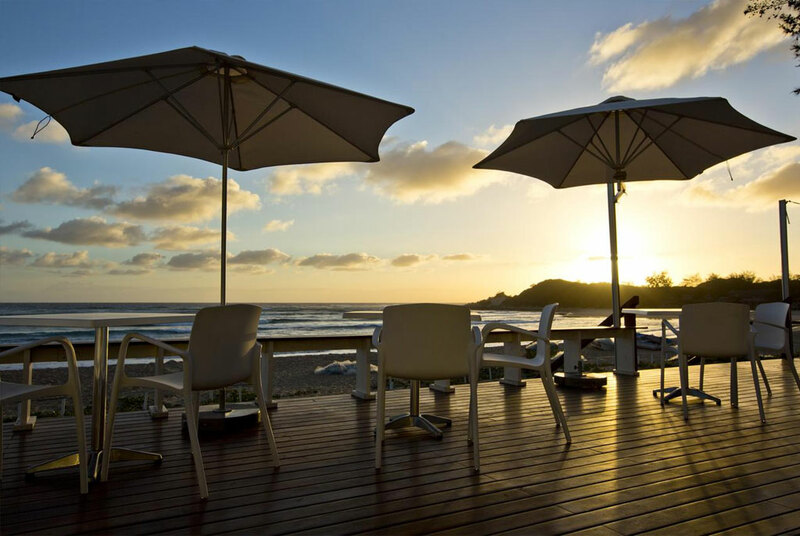 After breakfast, which is served @ 06h30 every morning, at Hotel Tofo Mar, you will walk to the Dive Centre which is only about a 2-minute walk away. 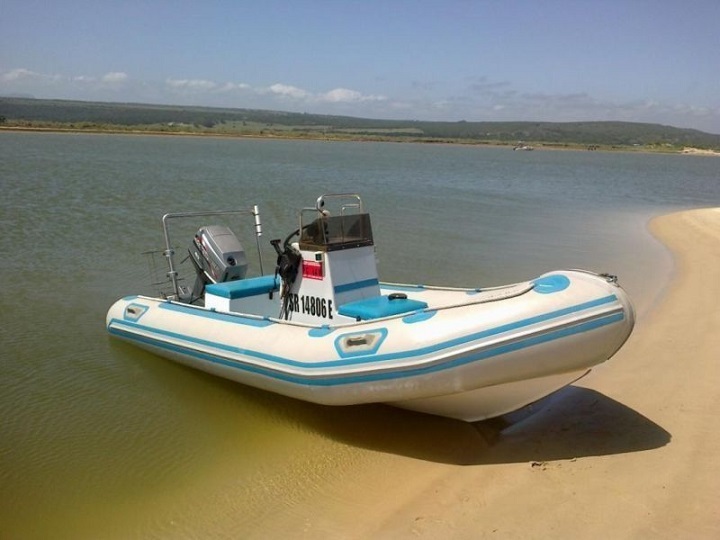 After signing the necessary indemnity forms, and kitting up, the Dive Centres staff will load your dive gear onto the dive boat, a “Rubber Duck” / RIB / semi-inflatable, which is then towed the 100-meters to the beach and launch site. Whilst the divers are doing the pre-dive planning and dive briefing the Dive Centre’s staff are loading and securing all the dive gear down the centre of the dive boat. When all are ready, everyone, crew, dive centre staff, and divers help turn the dive boat around, until the nose is pointed to the sea, and push the dive boat into the water. When about waist deep, the ladies are asked to board first and settle themselves opposite their dive gear which has been stowed and fastened down the centre of the dive boat. The men still push the dive boat deeper in, chest high. The skipper open the motors and once everyone is aboard, life jackets are handed out, and the skipper negotiates the breakers until well beyond the backline where he slackens off, checks that everyone is all ok, collects the life jackets, and heads off for the dive site. For purposes of this itinerary and costing, all dives at Barra / Tofo and Guinjata are costed as “house dives,” and two “house dives” are scheduled for each dive day, weather permitting. 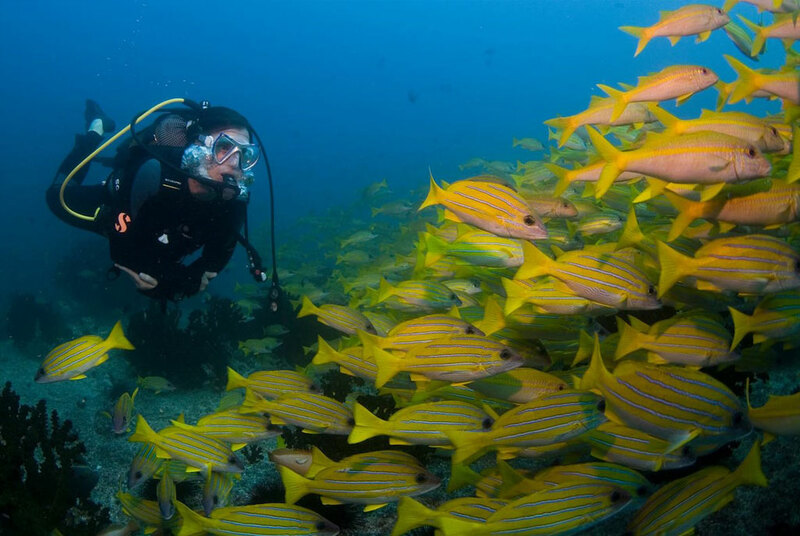 Should a diver/group wish to do a “far reef” dive, which Tofo diving is all about, and the main reason why divers come to Tofo to dive, these “far reef” dives must be booked in advance and are subject to a ZAR 80 per diver per far reef dive surcharge. This surcharge is not included in the cost below and must be paid for by the diver directly to the Dive Centre. All dives at Tofo are two-tank dives. You do not return to shore between the first and second dive. SIT (surface interval time) is spent at sea, either snorkelling or looking for Whale Sharks to snorkel with. If it’s Whale Shark’s you’ve specifically come to Mozambique to encounter, the best way to encounter Whale Sharks is to trawl the back-line, just beyond the breakers, and look for the tell-tail tail fin of this massive beast. But, because Whale Sharks are so plentiful in these waters, you are likely to encounter these animals on your way to and from the reef. When you do spot a Whale Shark, the skipper will drop you off in front of the animal allowing it to swim up to you. 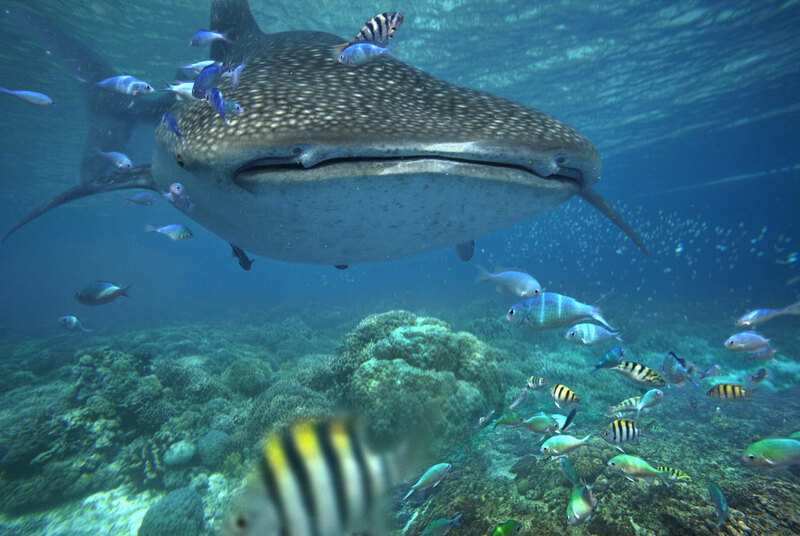 The best way to “dive” with Whale Sharks is on snorkel, as the exhaust bubbles from your regulator, if on scuba, often frighten the animals away. After the animal has passed you by, you will climb back into the boat and the skipper will move off to position you in the path of the on-coming Whale Shark, allowing it to swim past you again. This could carry on ad infinitum until either you or the Whale Shark tire first. After the second dive for the day has been completed, the dive boat returns to shore. The dive gear is off-loaded from the boat by the Dive Centres staff and is taken back to the dive centre where it is washed, rinsed and hung out to dry in preparation for the following days diving. The divers walk the short 4-minute walk, from the dive boat to the dive centre for a hot shower before returning to Hotel Tofo Mar. 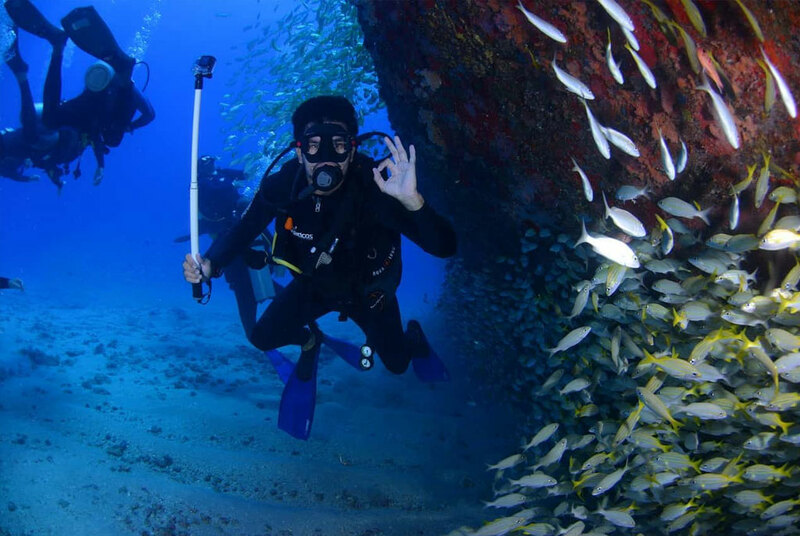 Please don’t expect to do more than two dives a day when diving anywhere in Mozambique. Also, remember that you are thousands of kilometres from the nearest medical facility and recompression chamber with the result that all dive operators in Mozambique do not allow, “pushing the limits” and prefer to err on the side of caution, so as to minimise the possibility of any dive accidents. The dive operator will obviously try and fit in a 3rd dive if possible, as they derive their income by selling dives, but diver’s safety is of paramount importance. A catamaran Tour to Pansy Island. Fat bikes for hire to tour the area on your own. A visit to the local Spa and Massage Centre. All the above would be for the client’s own account and should be booked in advance. The folk at the hotel and at the Dive Centre will be more than willing to point you in the right direction for any of the above activities. Overnight at Hotel Tofo Mar, in a Standard, Seaview, twin/double, en-suite, air-conditioned room, on a bed and “tropical” breakfast basis. 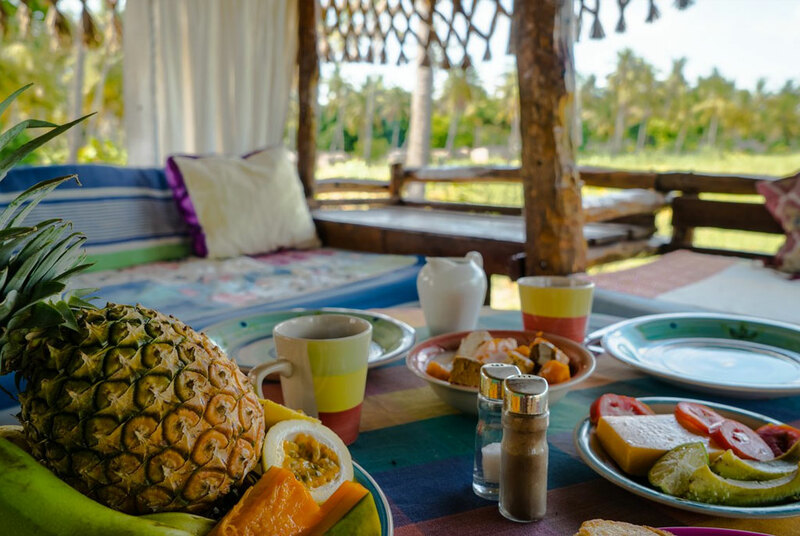 After the “tropical” breakfast, the morning is free until you are collected from Hotel Tofo Mar by a representative of Dive The Big 5 for the return road transfer to either Inhambane Airport or Vilanculos Airport, to connect with your return flight to OR Tambo International Airport – Johannesburg, own arrangements. This time can be spent shopping at the local market for gifts to take back to the folk back home. End of services. The above itinerary is subject to change without notice. Please note: The entire Mozambique falls within a “high-risk” Malaria area. To be safe, we strongly suggest that you consult your Doctor for advise on taking prophylactics before travelling to Mozambique! per diver sharing. Remember, you are only allowed 20 kg’s checked-in luggage on LAM. 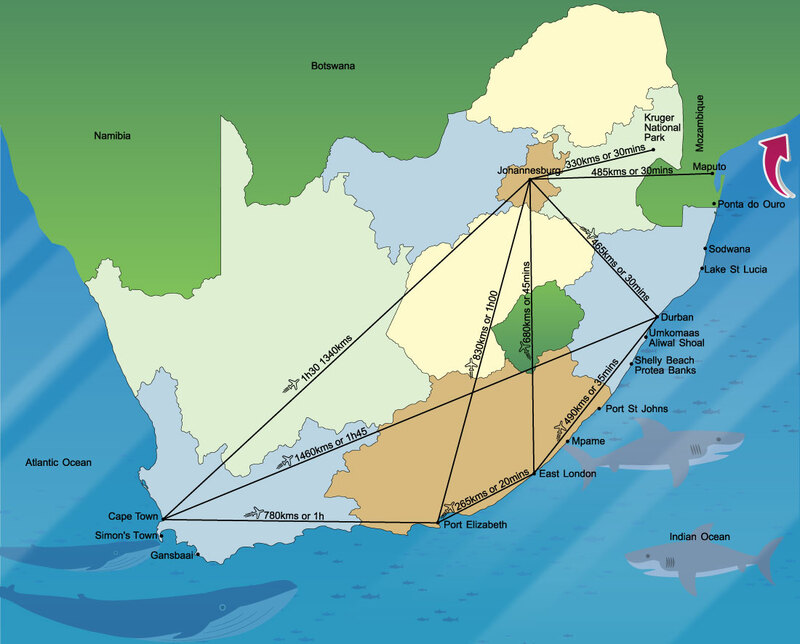 ZAR 2 820 per diver, per day, including 2 x “House” dives, beach transfers, & accommodation on a B&B basis. Remember, you are only allowed 20 kg’s checked-in luggage on LAM. ZAR 2 640 per diver, per day, including 2 x “House” dives, beach transfers, & accommodation on a B&B basis. Similar 5-night, 6 x reef dive / 2 x baited shark dive packages are available for diving Protea Banks & Aliwal Shoal & a 5-night, 8 x 2-Mile Reef dive package is available for diving at Sodwana Bay.